Kite board hydro-foiling, flying, hovering aka kite foiling, the next era in kite boarding. In simple terms the analogy is a model glider (foil) connected to a 1m shaft/mast, which is attached to a surfboard. The kiter stands on the surfboard and is powered by their kite. As the board speed increases the foil generates lift and the board rises above the water. The kiter controls elevation by applying pressure on the board through his feet and forward drive via the kite. 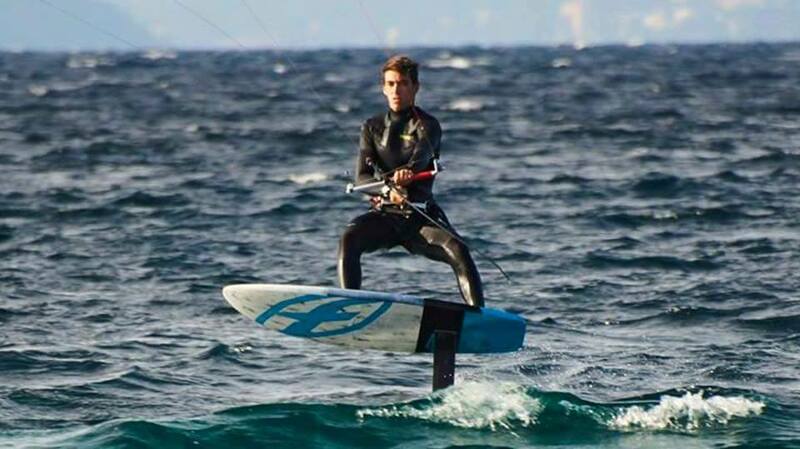 Why has there been an increased interest in kite foiling? Kite foiling has been around for 10 years, predominately in Europe. However, ever since the 2013 America’s Cup where the winged sailed catamaran with hydrofoil capabilities (AC72 Class), was televised worldwide, travelling at insane speeds in excess of 40 knots or 3 times the wind speed, there has been an increased interest in hydro-foiling sailing craft from moths to kite foiling. Oracle’s Skipper, so inspired by hydro-foiling speed, has taken to the sport to satisfy his need for speed. The rest of the kiting world is now taking up kite foiling from racing to recreational sailing. Kite foiling allows one to kite all year round. There is something magical about kite foiling for all levels of sailors, kiters and twin-tippers. Surfers are also trying kite foiling in surf – Inspired and first mastered without a kite by legendary surfer Laird Hamilton. What’s the thrill/excitement of riding a kite foil? 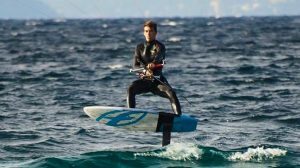 – Flying one metre off the water, being able to sail/kite all year round in 4-6knots to the upper limits of 25-30knots and pushing speeds in excess of 40knots. Come to the kiteshack and learn how to foil,when everybody else pray for wind! Wind is our best friend and we can teach you why! Book now a lesson with us!